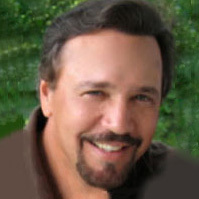 Gustavo has been a successful entrepreneur, educator, inventor, healthcare consultant, and businessman for the past thirty-five years. His educational background and business experience have made him exceptionally versatile, achieving numerous successes in both the healthcare and business fields. As a multiple-award-winning author possessing this academic versatility allows Gustavo the ability to research and write about healthcare, entrepreneurial and business-related issues. His book "Private Money Lending: Learn How to Consistently Generate a Passive Income Stream," is a multiple award-winning book that describes a unique investment strategy that teaches investors how to consistently and safely generate a substantial passive income stream in all market conditions. This book is an excellent reference source for anyone who wants to learn how to invest in private mortgages in a sound and safe manner. However, it's important to understand that although there are numerous investment strategies in the arsenal of every investor, adding private mortgages to the investment mix can reduce volatility by adding a non-correlated component to the investor's overall investment portfolio. As a final accolade for 2017, Private Money Lending was awarded the Clemens Medal. This is a book award given by the Association of Independent Authors (AIA) in honor of Samuel Clemens (aka Mark Twain) for a book of outstanding literary quality and design. To enter the book must have won an award recognized by the awards program. To date, only two books have been awarded the Clemens Medal, Private Money Lending being the second book to have been so recognized. The objective of this book is to educate the consuming public about the effectiveness of the many available hair-loss treatment modalities the consumer will be subjected to. This is an important and valuable book for both men and women who are afflicted with hair-loss problems. The book provides the reader with a historical perspective regarding hair loss, as well as the present and future trends of alopecia (hair loss) research.